The household chores are certainly tedious, and vacuuming the carpets is one of those repetitive jobs that were in search of a solution. And now, after you have changed the way people cleaned their homes with the robot Roomba, the company is taking its technology outside the confines of the four walls of the home, towards the garden. The people that you care for your lawn now can count with the robot Terra, which will eliminate the need to cut the grass by hand, or having to pay for a service, thanks to their technologies of mapping and navigation avant-garde, cutting of high performance, high quality, and easy installation. A video and photos of the robot that were published in iRobot.com show that Terra is unique because it learns your environment by using the technology of Smart Mapping, or mapping intelligent Imprint of iRobot, which allows you to navigate in straight lines, forward and backward, to achieve the best results. In the same way that occurs with the vacuum cleaners, if the battery of the robot lawnmower is exhausted it will return to its base to recharge and then will resume its work until the grass of the garden is fully cropped. This is certainly a welcome alternative to the existing technology, by eliminating the need for cables and labor. The company explains that Terra is designed to operate in adverse weather conditions, and navigate in difficult terrain, in the open air. “iRobot is building an ecosystem of robots and technologies that help people to do more, both within and outside of the house,” said Colin Angle, chairman and CEO of iRobot. To use this system, which uses a combination of technology, smart maps, Imprint, and a system of wireless communications has recently developed, it simply should place the beacons wireless around the garden, which lead the robot around the perimeter to cut the grass. Users have total control over where it goes the robot, so that it will remain on the grass and out of the flowers. Because the robot Terra is connected to the internet, you’ll be able to use the iRobot to customize your service, from adjusting the height of the grass to control precisely when to cut the grass, and scheduling service. 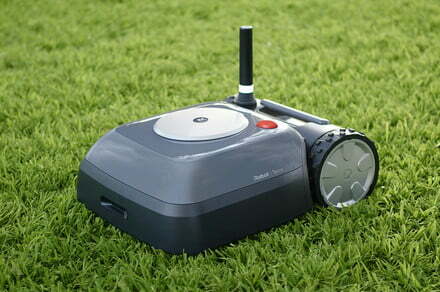 Although not released an exact date, the company says that the robot mower iRobot Terra will be available for sale in 2019. Specific availability will be announced at a later date, and if you want more information you can visit the official website of the company.